The latest selections will demonstrate technologies of interest to NASA that are capable of supporting future exploration and science missions. Amir Hirsa, principal investigator, Rensselaer Polytechnic Institute, Troy, New York. The flight provider will be Zero Gravity Corporation. The ring shear drop technology is planned to fly to the International Space Station in 2019 and allows for pinning a droplet of liquid between two rings in microgravity. A series of parabolic flights will be used to demonstrate the ability to turn this system into a space bioreactor to grow and study stem cells, bacteria for pharmaceutical purposes and algae for oxygen production. Christine Escobar, principal investigator, Space Lab Technologies, Blackhawk, Colorado. The flight provider will be Blue Origin. Having food with enough nutrients for crewed long duration space missions is a challenge. This technology could enable the growth of aquatic plants such as duckweed (a nutritionally dense food ingredient) in microgravity by using a reusable growth bed with passive nutrient and water transport as well as an automated harvesting system. Chung-Lung Chen, principal investigator, University of Missouri, Columbia. The flight provider will be Zero Gravity Corporation. Demonstration of a dielectric material that can control the amount of liquid condensation on a surface of a heat exchanger in microgravity by applying an electrical charge. This technology has the potential to improve the thermal efficiency of condensers in space and can help remove liquid droplets from surfaces. Richard Banish, principal investigator, University of Alabama, Huntsville. The flight provider will be Blue Origin. This payload will test a methodology to measure thermal diffusivity of liquid in microgravity by heating a disk-shaped fluid and recording its temperature over time. The data collected will allow for higher fidelity thermal modeling for designing future hardware for space exploration. W. Kent Tobiska, principal investigator, Space Environment Technologies, Pacific Palisades, California. 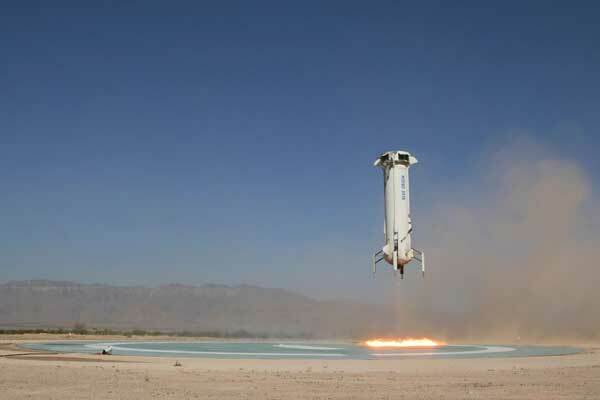 The flight provider will be Blue Origin. Suborbital demonstration of a payload to measure real-time ionizing radiation from 22 to 62 miles altitude and transfer the data to a Bluetooth device such as a phone or tablet. Real time collection of radiation in suborbital space can be used to improve radiation models and could ultimately be used by aircrews, high-altitude pilots, frequent flyers and commercial space travelers who experience radiation hazards. These hazards begin at commercial aviation altitudes and extend into low-Earth orbit. Daniel Bowman, principal investigator, Sandia National Laboratories, Albuquerque, New Mexico. The flight provider will be World View Enterprises. Demonstration of balloon-borne microphones coupled with accelerometers which can capture the infrasound waves generated by earthquakes from the air. The technology could be used to study seismic activity on planets with dense atmospheres such as Venus. Kevin Crosby, principal investigator, Carthage College, Kenosha, Wisconsin. The flight provider will be Zero Gravity Corporation. A series of parabolic flights will demonstrate a “smart membrane” that stiffens when exposed to a magnetic field and applies a restorative force to suppress sloshing inside a propellant tank. This technology could also improve the accuracy of propellant level measurements. Konstantinos Sierros, principal investigator, West Virginia University, Morgantown. The flight provider will be Zero Gravity Corporation. Demonstration of a payload to 3D print titanium dioxide foam in microgravity, which could be used for future Moon or Mars habitat radiation shielding, solar cells or filters for air or water treatment. During microgravity flights, a variety of specimens will be printed to investigate the correct parameters. Michael Menze, principal investigator, University of Louisville, Kentucky. The flight provider will be Zero Gravity Corporation. Due to limited shelf life, blood for transfusions cannot be stored for long duration spaceflight. Dehydrated red blood cells could potentially be stored for years at a time. A series of parabolic flights will be used to demonstrate the ability to re-hydrate red blood cells and perform a transfusion to a mannequin arm in microgravity. Steven Collicott, principal investigator, Purdue University, W. Lafayette, Indiana. The flight provider will be Blue Origin. This payload will study the impact of sloshing on green propellant systems through a series of parabolic flights. When spacecraft accelerate, such as when conducting an orbit raising or trajectory correction burn, the acceleration can lead to sloshing in the propellant system. The knowledge gathered from this flight will be used to advance the practical data-based models for future space missions. Alina Alexeenko, principal investigator, Purdue University, W. Lafayette, Indiana. The flight provider will be Blue Origin. Demonstration of a propellant management system for the Film Evaporation MEMS Tunable Array Micropropulsion System, a small thruster that uses heated water through micro-nozzles to create propulsion. The tank uses the vapor pressure of an alcohol mixture to provide continuous propellant to the thruster. This propulsion unit could be used to extend the lifetime of PicoSats in orbit or for precise attitude control of groups of satellites, deployable structures or interplanetary missions. Alexandre Martin, principal investigator, University of Kentucky, Lexington. The flight provider will be Near Space Corporation. Demonstration of a small atmospheric re-entry capsule that can be used as a test bed for flight qualifying future thermal protection systems and instruments, or as a means to return payloads from space to a planetary body. A series of drop tests from balloons will help validate the onboard communication systems and parachute deployment. Brock LaMeres, principal investigator, Montana State University, Bozeman. The flight provider will be World View Enterprises. Demonstration of an electronic circuit that could generate true random numbers using radiation on unprotected sections of computer memory, while coupled to a system that is radiation tolerant. True random number generation could be used for space applications, such as secure satellite communications. Julie Brisset, principal investigator, University of Central Florida, Orlando. The flight provider will be Blue Origin. The Dust In-situ Manipulation System platform provides a reduced pressure environment for creating, manipulating and studying dust clouds in microgravity, all of which are key to multiple topics such as the formation of planetary bodies and the behavior of dust on planetary surfaces. The suborbital flight will demonstrate the ability of creating and controlling dust clouds with a variety of particle types. Charles Hibbitts, principal investigator, Johns Hopkins University, Baltimore, Maryland. The flight provider will be Blue Origin. This payload is composed of a visible-shortwave infrared spectrometer mounted on a gimbal to record images of the sky. It will study the feasibility of using a telescope during the day at high altitudes, which could open new possibilities for remote sensing aboard suborbital vehicles. The selected demonstrations will receive awards for payload integration and flight costs, as well as limited payload development costs. These investments facilitate technology maturation, validate feasibility, reduce technical risks and enable infusion of key space technologies into multiple future space missions. These selections were made from proposals submitted to the Flight Opportunities Program in response to the Space Technology Research, Development, Demonstration, and Infusion Flight Opportunities (SpaceTech-REDDI) solicitation that was released on March 30, 2018. The Flight Opportunities program is funded by NASA’s Space Technology Mission Directorate at the agency’s Headquarters in Washington. NASA’s Ames Research Center in California’s Silicon Valley manages the solicitation and selection of technologies to be tested and demonstrated on commercial flight vehicles.